Single Quantum develops and manufactures single photon detection systems based on the technology of superconducting nanowires. 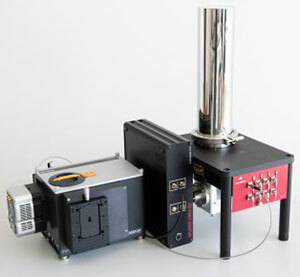 Their superconducting nanowire single photon detectors (SNSPD) include a closed-cycle cryostat which provides the low temperature environment for the superconducting nanowires. The high performance of their SNSPDs makes them the ideal choice for your most demanding applications. Single Quantum is recognized for the high quality and reliability of their detectors. The detection principle is based on the transition of a nanowire from the superconductive to the resistive state upon the absorption of a single photon. The detectors are pigtailed with an optical fiber and operated in a closed-cycle cryostat at 2.5 Kelvin. 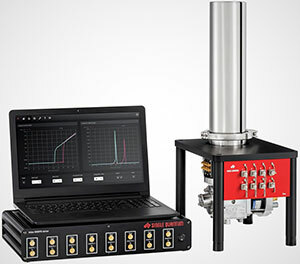 The design enables continuous operation for up to 10,000 hours and requires no liquid helium consumption, thus a turn-key solution for optical measurements. The system is designed for applications in quantum information technology, quantum communication and quantum cryptography, infrared time-resolved spectroscopy, laser ranging and remote sensing (LiDAR). Single Quantum's Eos consists of a compact closed-cycle cryostat, a dedicated helium compressor, fiber-coupled SNSPDs, a user-friendly electronic driver, and Single Quantum software. This multi-channel SNSPD system combines high time resolution, high detection efficiency, high count rate, and low dark count rate. It detects single photons with higher than 85% efficiency over a broad spectral range and an ultra-high timing resolution of less than 15 ps. A standard Single Quantum Eos has the capacity for 1 to 8 detection channels and each channel is optimized for a specific wavelength. The standard wavelengths are 800 nm, 900 nm, 1064 nm, 1310 nm, and 1550 nm. To see a list of selected scientific publications using Single Quantum detectors, click here.